Design & Promote has been in the Digital Marketing game for over 10 years. We first started by offering our clients SEO services to help improve their chances of being found. As more platforms rose to digital marketing prominence, we expanded on and evolved our services to keep pace with the growing needs and demands of businesses and one of our added offerings was SMM or Social Media Marketing services in Aurora. 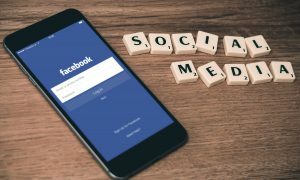 Social media has become important for businesses as it is one of the most immediate ways to connect to your followers and can be an effective tool in turning visitors into customers. Our Social Media Marketing team here at Design & Promote has the skills and understanding to turn your social media platform into a traffic powerhouse. If you would like more information on our Social Media Marketing services in Aurora or if you would like to know more about our other digital marketing strategies such as SEO and PPC, give us a call at 630-995-7109 today. You can also reach us by submitting the contact form on this page and we will respond shortly. The goal of Social Media Marketing is to increase brand awareness and to help get your content to reach a wider audience. It doesn’t stop there. You also have to engage your audience to help build relationships and establish a sense of trust, credibility, and reliability. We understand that every business is unique, and we do not take a one size fits all approach to your Social Media Marketing efforts. If you don’t have any social media profiles, we can help. We offer social media profile creation services and can set up your profile in no time. We will assess which social media platforms will best serve your business, so we can create an efficient and effective SMM campaign. To learn more about our SMM services in Aurora or if you have any questions regarding our other services like website design, call us today at 630-995-7109. Or simply submit the contact form on this page and we will get back to you shortly.